It's the 10th major quake of October and the 84th of 2017. (SMALL TSUNAMI WAVES HAVE BEEN OBSERVED). Green alert for shaking-related fatalities and economic losses. 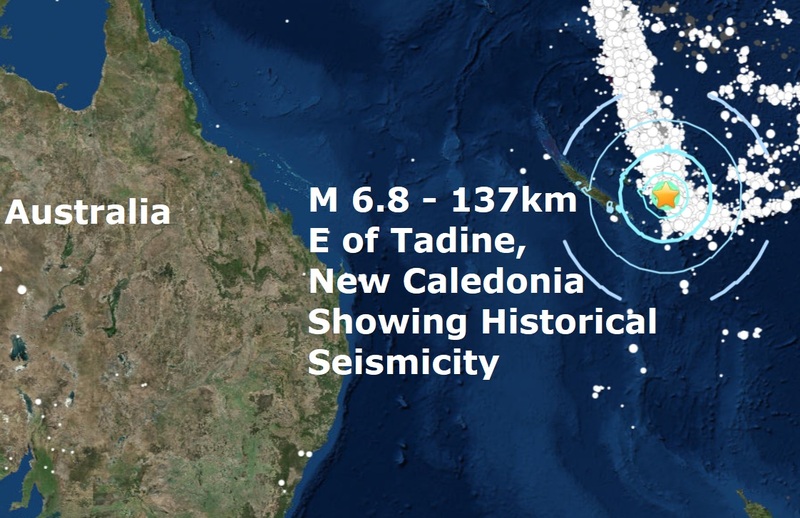 A shallow mag 7. later reduced to a magnitude 6.8 quake has struck 137km E of Tadine, New Caledonia in the South Pacific. 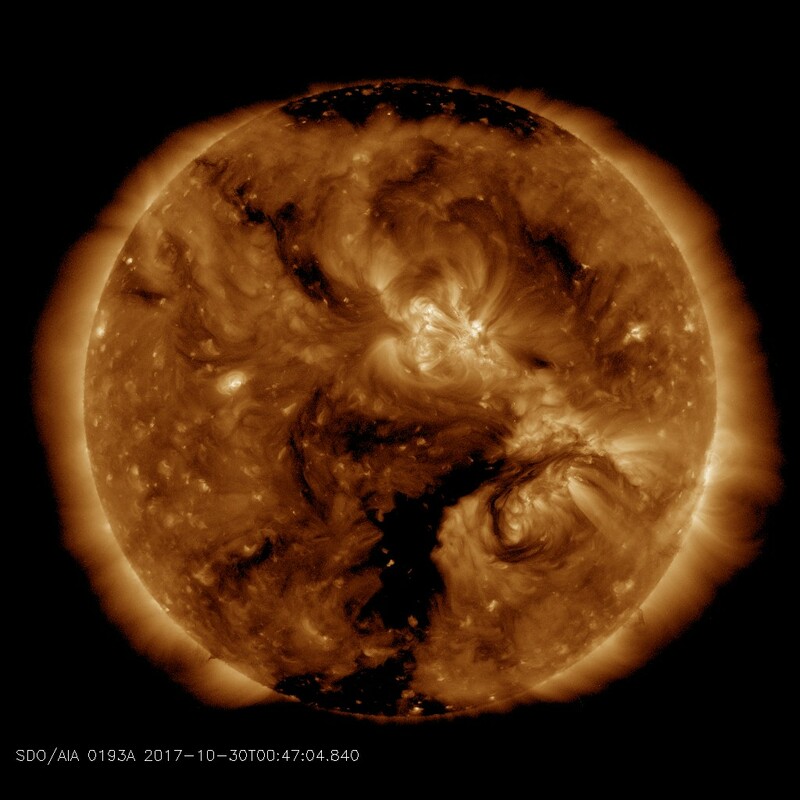 As a large Coronal Hole opened up in the southern part of the Sun's atmosphere facing Earth yesterday a major quake was on the cards, which was predicted here.